Strategically updated for 2017, the Ford Escape becomes an even more attractive alternative in the popular compact-SUV segment that includes the Honda CR-V, Kia Sportage, Hyundai Tucson, Mazda CX-5, Mitsubishi Outlander Sport and Toyota RAV4. Tasteful but effective exterior restyling enhances the Escape_s curb appeal while a comprehensive remake of its roomy, comfortable 5-passenger cabin elevates both visual sophistication and user-friendliness. Available in S/SE/Titanium trims and front- or all-wheel drive, the 2017 Escape also introduces a host of advanced tech touches including Ford_s Sync 3 infotainment system with Sync Connect along with support for Android Auto and Apple CarPlay. 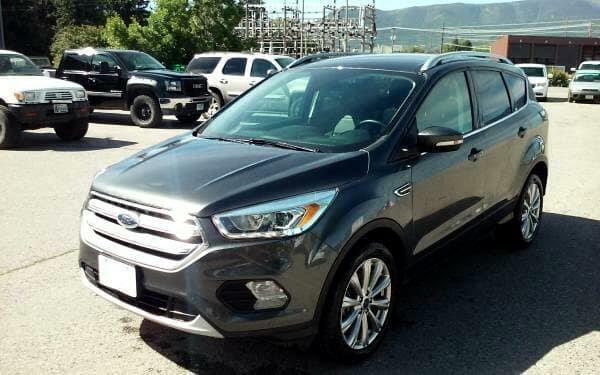 This versatile Ford offers three engines -- including two new, more powerful and more efficient EcoBoost 4-cylinders -- that help the Escape retain its best-in-class tow ratings.